Hot is hot, right? Not if you're a lover or a maker of hot sauces. One could think that there’s nothing closer to a hot sauce than another hot sauce… it’s not so simple! Just as there are different kinds of wine or barbecue, there are different kinds of hot sauces. 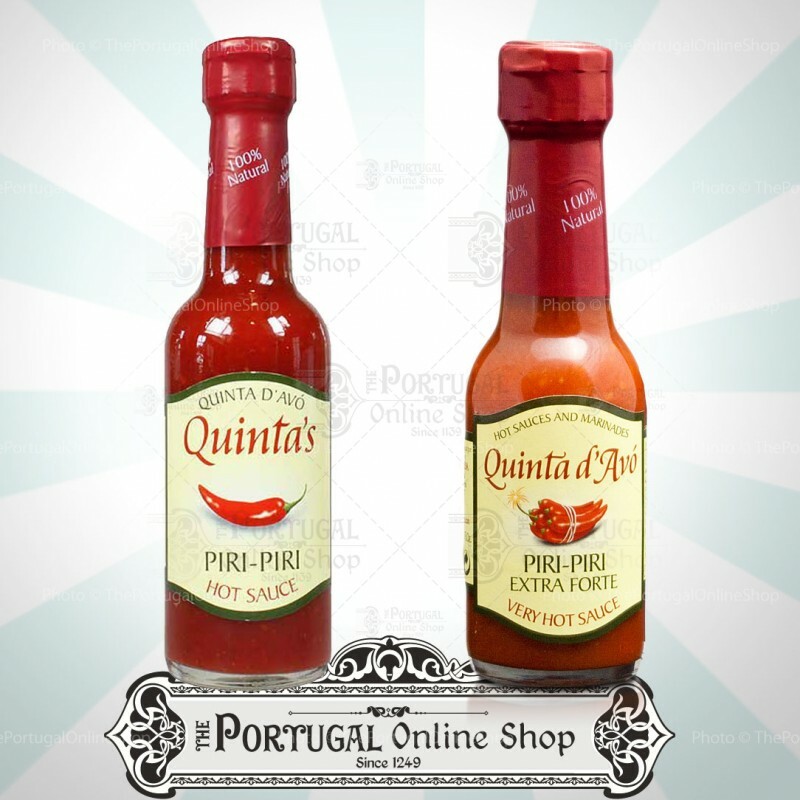 Quinta d’Avó Piri Piri sauces are unique in taste and in recognition. They're expertise and know-how in 100% natural sauce making will definitely leave you without doubts when choosing a piri-piri sauce. 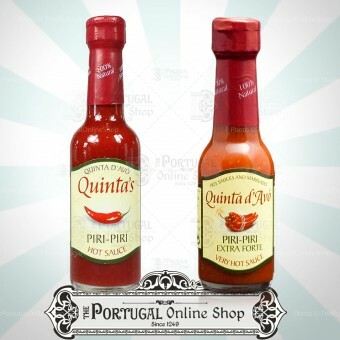 A typical hot sauce from Portugal, not very hot by international standards. Portuguese chillies are blended with bell peppers, giving a very specific flavour, a little sweet and smoky. Ingredients: Fruit vinegar, hot chili peppers, bell peppers, garlic, spices. This is a pure Piri-piri hot sauce, Cayenne type, same as Frank’s Red Hot ® and thicker than Tabasco ®. The Extra Hot sauce is a really hot version of the piri-piri sauce, which means it’s really hot! That also means to be careful when you add it to any meal, because you have to really appreciate hot stuff. It’s a real Hot bomb! Ingredients: Hot chili peppers, Fruit vinegar, salt, garlic and spices. We use a blend of different types of chillies coming from Portugal and Central America. Absolutely delicious - a real treat!! I have tried the regular version. It's a inexpensive sauce. A pure sauce with a few ingredients. The vinegar is not too dominant and it has a natural , slightly fruit taste. I love it.